This beautiful Being of Light is always the first Archangel that Ashley calls in when she is building the Watchtowers of Divine Protection. He is the Great Prince of the Element of Fire. He is sometimes called the Great Lion of God. He is the ruler of lightening and the solar orb. When we ask, he protects us from all perils approaching from the South and through the element of Fire including forest fires, electrical fires, and spontaneous combustion. When we ask for Michael's assistance, he helps us to act with courage in difficult situations, to speak assertively, to set boundaries, and to lead with Divine power. He helps us let go of our fear and to remember that fear is always and only "False Evidence Appearing Real". "Beloved Michel, with all my heart I ask for your assistance in learning courage. Please give me a download during my sleep tonight - and assist me to integrate this into my complete awareness gently and easily - so that I may become courage itself. Thank you. Thank you. Thank you. 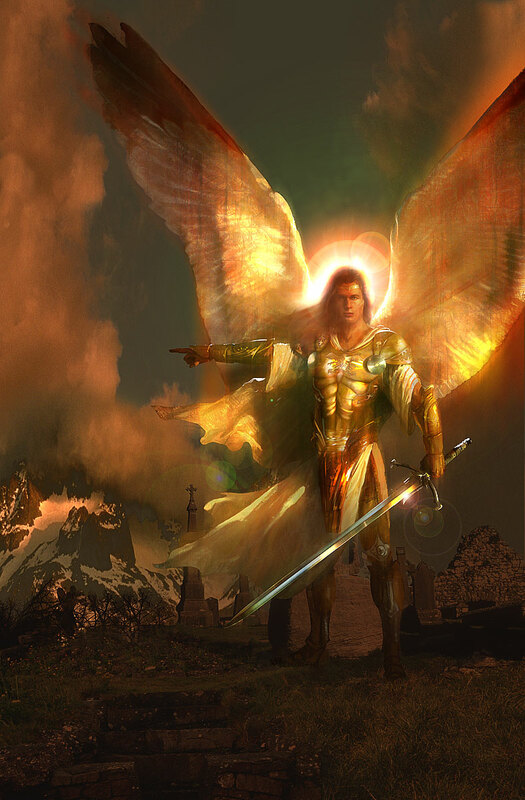 Blessed be"
As with all the Archangels and angels, he will not interfere with our free will and choice. We must take responsibility to ask consciously for his assistance and intervention in our lives.